I recently discovered a great tool for small business called SnapRetail (Read more about SnapRetail below). I was listening to one of their podcasts on Shop Small Saturday, designated on the Saturday following Thanksgiving, Saturday November 25th. From listening to the podcast I discovered that you can get free custom materials to promote shop small at your store. If you enter your store information and address they will even send you Shop Small Kit (while supplies last.) I can’t wait to get my kit in the mail to check it out. Swing over to the www.shopsmall.com website and get yours today before they run out! This is the perfect opportunity for small businesses to take advantage of this “special” day. Start your planning now so you are prepared. 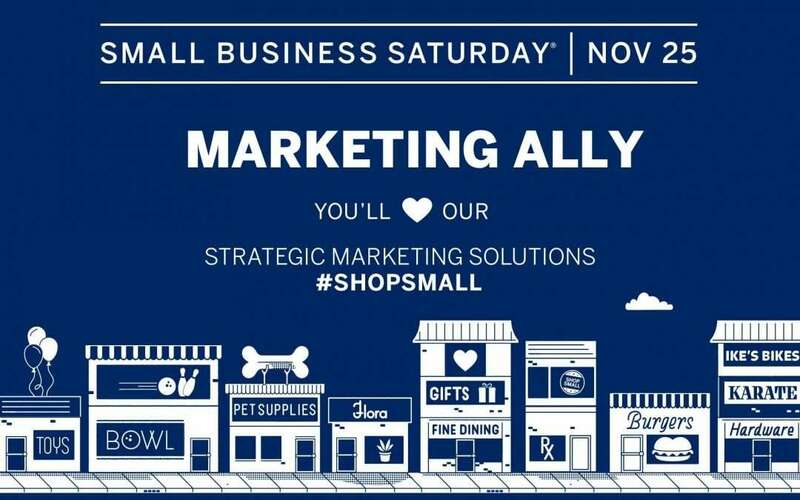 Small Business Saturday is a great way to kick-off your holiday promotions season and finish the fourth quarter strong! Create your marketing materials early so they are ready to go. Have your email newsletters related to your Small Business Saturday specials ready to go – plan to send up to 3 emails in advance of Nov. 25. Make sure your website is updated and ready to go for Small Business Saturday. Coordinate your Social Media to promote your Small Business Saturday specials early and often – aim for 2-3 times a week. Stress the importance, the “why”, of choosing to shop local. Tell your story – why should your community choose to buy from your store or use your service. People want to connect and establish relationships with businesses – this is where small business has an advantage over big box retailers and national services – remember this fact as you “tell your story” and connect with your customers. Customers want to be part of something and that is why they choose to support small business. Don’t miss out on this opportunity to encourage your community to choose to Shop Small with your business or service this November. There are many resources to help make your marketing efforts easier. Would you like help strategizing – give me a call, I’d love to work with you!